Welcome to the Dade Christian School Fine Arts Department. 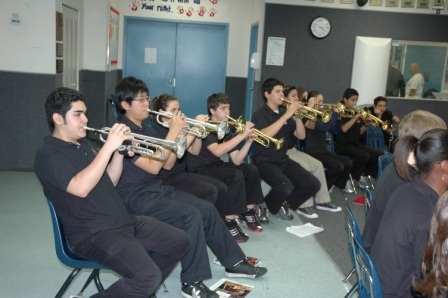 Our fine arts program consists of choir, band, drama, and art. We have many talented students in our school and consistently win awards in all areas of our program. 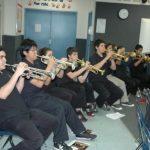 The 5th and 6th grade bands at Dade Christian School begin getting exposed to instruments and the art of mastering playing together. In 5th and 6th grade they learn basic music skills, listening and mastering their instrument in preparation for Seconday band. 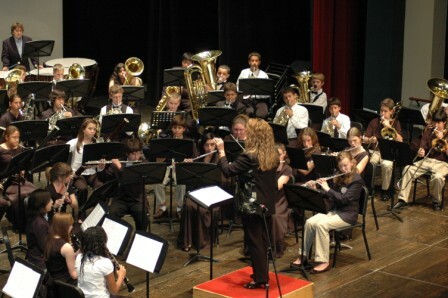 The Elementary bands also perform twice a year: once at Christmas and once in the Spring. Some of our elementary students are chosen to compete at the Junior Competition of FACCS (Florida Association of Christian Colleges and Schools.) There they compete against other students their age from Christian schools around the state of Florida. 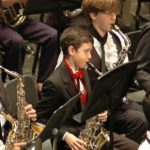 In the 2009-2010 school year, our students won 1st place at the FACCS regional and state competition in the brass solo and woodwinds solo categories. The 5th and 6th grade choir at Dade Christian Sschool helps to train young singers with basic music skills in preparation for Secondary choir. They are exposed to harmonies and begin the process of learning to read music and sing as a choir. The Elementary choir also performs twice a y ear: once in the Fall and once in the Spring. In the 2009-2010 school year, the 5th and 6th grade choir competed in Orlando, FL at Universal Studios Music in the Parks competition and won 1st place. They were also able to compete as a choir at the Junior FACCS (Florida Association of Christian Colleges and Schools) competition. This allows them the opportunity to compete against other students their age from Christian schools around the state of Florida. Many of our choir students also participated in the solo competition. The 5th and 6th grade drama students at Dade Christian School learn to speak before a crowd. They are taught basic speech and performance methods and also have the opportunity to perform before friends and family during 2 shows throughout the school year. Some drama students also had the opportunity to compete against other students from Christian schools across the state of Florida during the Junior FACCS (Florida Association of Christian Colleges and Schools) competition. In the 2009-2010 school year, several of our elementary students won at the regional and state level drama competitions at the FACCS competition. 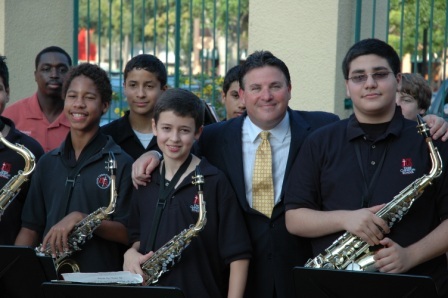 The Dade Christian School Fine Arts department exists to bring glory to God through excellence in Fine Arts education, public presentation, relationship and behavior, so that the participants and observers grow in their appreciation for the beauty and diversity of God’s creation. 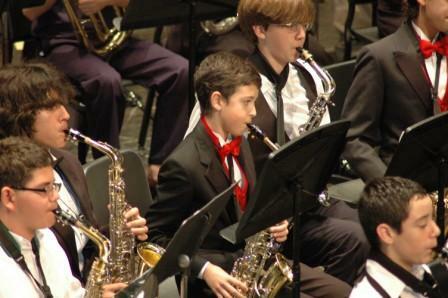 Pep Band, Jr. High Jazz Band, Concert Band and Symphonic Winds. Throughout the year students will be able to compete in the district and the state level within the state of Florida. 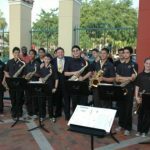 Our bands as well as our solo and ensemble students participate in the Florida Association of Christian Colleges and Schools (FACCS) competition and Florida Bandmasters Association (FBA) events around the state of Florida. 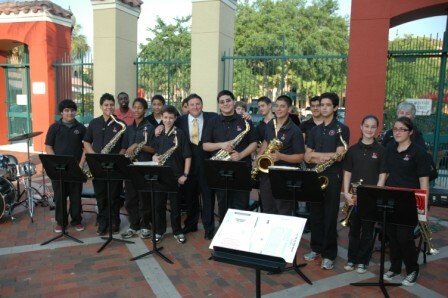 In the Spring of 2010, our Jazz Band participated in the Miami Lakes Mayors prayer breakfast. Each year, we have several students that receive honors in the district and the state.  The secondary choirs at Dade Christian School, under the direction of Mrs. Ivette Rossi, include: Jr. High Mixed Choir, Sr. High Ladies Chorale and Senior High Mixed Choir. Aside from singing in these different choral groups, our students also have the opportunity to participate in solos, duets, trios and ensembles, and to perform in school chapels, church services, and community functions. DCS choral students compete at the district, regional and at the state level within the state of Florida. They also participate in the FACCS competition in Jacksonville, FL. The 2009-2010 choir had the privilege of singing in Carnegie Hall in New York City. 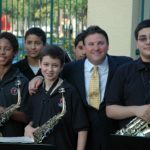 Past choirs have competed in the Jr. Orange Bowl Merrick Music Festival in Coral Gables. Our DCS Sr. High Choir and Ladies Chorale were Grand Champions in the 2009-2010 competition. Several of our choristers attended a summer tour of seven European countries as members of the Florida Ambassadors of Music. Amongst their many performances planned for this upcoming school year, our Sr. High choirs will participate in the Epcot Center Candlelight Processional in Orlando, FL and our Jr. High Choir will participate for Festivals of Music at Universal Studios. 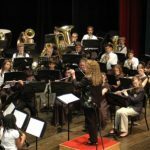 of Music in the summer of 2010. 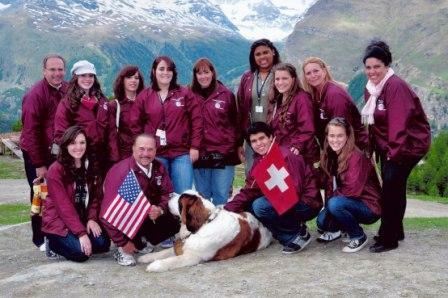 Picture taken in front of the Swiss Alps. The secondary drama troupe at Dade Christian School is called the Curtain Call Crusaders. This year, under the direction of Mr. Eric Spee and student director, DCS senior Tereza Kilzi, our drama students will have the opportunity of preparing performances in the Fall and in the Spring. Our students also have the opportunity of competing in the FACCS competition in Jacksonville, FL. They prepare everything from monologues to duets. 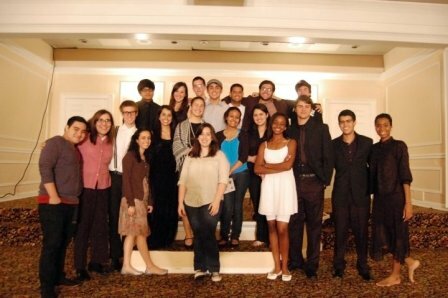 In the 2009-2010 school year, our drama students performed to sold out crowds. They tackled important dramatic pieces like “The Importance of Being Earnest” by Oscar Wilde and “Our Town” by Thornton Wilder. The 2010-2011 school year will be another excellent year for our young thespians.